I feel like I always say this when I pick a book to lead for my book clubs, but I picked Number the Stars mainly because I just personally wanted to reread it. I remember reading it as a teenager and it was one of the first books that made me cry. I don’t remember much about it other than the fact that it was about Denmark during its Nazi occupation in WWII. I also remember it was very moving (hence the crying). I also think it was quite possibly the reason my interest in the effects of the Third Reich have held a certain interest for me that lasted all the way through college. Honestly, I’m a little nervous to revisit it since it has held such a special place in my memory. I think it will be good to have the chance to reread it and I’m looking forward to what everyone else thinks about it, and if it is as good as I remember. 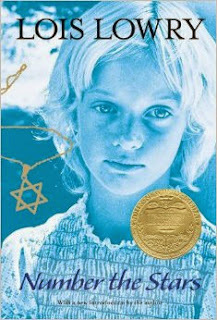 Number the Stars is the story of the Danish resistance to the Nazi occupation, particularly regarding the treatment of Danish Jews. The story is told through a child which makes it much more compelling, in my opinion. It’s one of those war stories that doesn’t minimize the horrors of war, but gives the reader a glimpse of hope and redemption in the midst of great sorrow, and who doesn’t love that about a book? 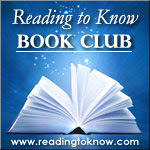 Would you like to read along with us this month? Let us know in the comment section! I might read it (maybe alingside my 10 year old dd?) if I can eke out the time. I've read it before and loved it. Carmen Deedy's The Yellow Star is an excellent picture book that goes along with the setting. I have time to read this one! Surely I can handle a YA book, right? I've been slowly finding more time to read--we're six months past the adoption, so it's time! I've actually never read this one. I have a copy on my bookshelf and have many times thought about reading it, but just never did. am going to give it a try. N1 and I read this last year and I'm going to revisit it next spring with all the girls when we get to World War 2 reading!